Our financial objective is to operate as efficiently as possible, while fulfilling our responsibilities to our community, our members and our donors. 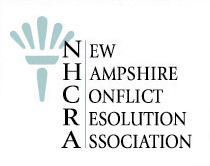 We work hard to ensure the long-term sustainability of NHCRA, while keeping annual membership dues among the lowest in the country. We make our IRS Form 990 available for review, as required by law. If you would like further information, please contact us.